Go to www.aam-us.org/MBO for details, including a list of the data being collected, a checklist of the documents you’ll need to assemble, a video introduction to the system and highlights of its benchmarking capabilities. 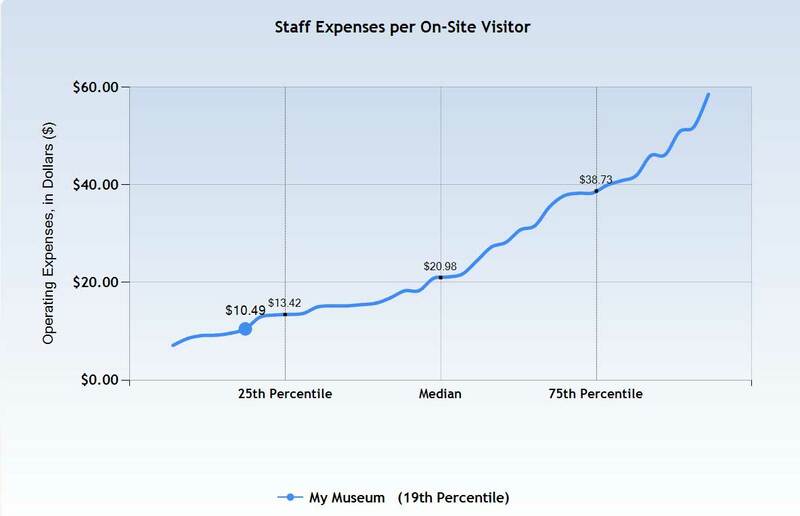 The great news is that you do not need to pay or be an AAM member to enter your museum’s or historic site’s data. Museums that contribute data to the system always have access to their own numbers, so MBO can also serve as secure storage for data that may be scattered among different reports and different staff members at a given museum. AAM will be producing a short report on data collected to date after October 31 and a more detailed report after December 31. This is intended primarily for advocacy purposes and will be available on the AAM website. Data contributors will also receive a direct link to the report. It won’t be as detailed as the old Museum Financial Information reports, however; museums that want that level of detail (and more!) should subscribe to MBO. Paid subscribers have access to powerful comparison and reporting tools, including nine standard reports produced as PowerPoint slides with your organization’s position highlighted. Wow! AAM is encouraging participation by as many people as possible by October 31 (that’s next week!). They’d like to consolidate and analyze the results so they can begin to share field-wide information with policymakers and other stakeholders. So gather up your latest annual reports to participate and if you have questions, contact benchmark@aam-us.org.